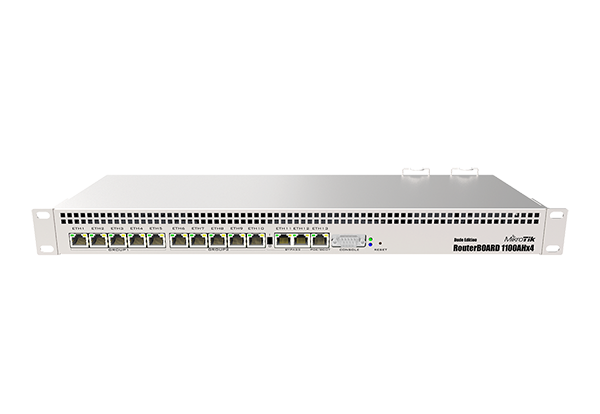 Home :: Mikrotik Rack Mount Routers :: Mikrotik RouterBoard RB1100Dx4 RB1100AHx4 Dude Edition complete Extreme Performance Router with 13-10/100/1000 ethernet ports and RouterOS Level 6 license - New! 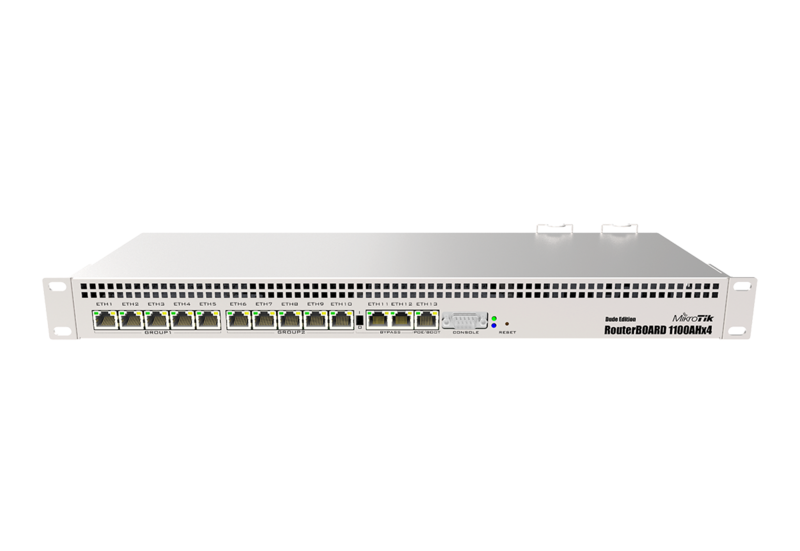 RouterBOARD 1100Dx4, RB1100AHx4 Dude Edition, Annapurna Labs Alpine AL21400 CPU with four cores clocked at 1.4 GHz, hardware encryption, 13 Gigabit Ethernet ports, RouterOS Level 6, true 1U rack mount case and dual power supplies included with -48vdc power option. the Annapurna Labs Alpine AL21400 CPU with four ARM Cortex A15 cores clocked at 1.4 GHz. This product was recently announced at MUM Europe 2017. Delivery expected in May 2017.